Tracks have played on various on-air radio stations and on-line sites. I mostly put music aside for years, to make room for my career as a television producer/reporter/writer. In that endeavor, I achieved success, national awards, etc. But it didn't leave much time for much else. I have that time now. 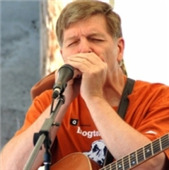 I picked up the guitar & harmonica again a while back, joined a band and wrote a few songs. My musical endeavors haven't won as much recognition as my TV work did, but they've sure been fun and rewarding. Fortunately, television and music have now blended with some live song performances on commercial TV. 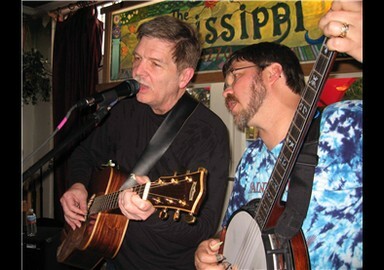 Repertoire is kind of old-timey/bluegrass-folksy, or melodic classic rock, mainly acoustic-style. Maybe a touch of blues or jazz. Another term for it might be "Music". And tell me you've come home to stay. But there must be a reason. And never again go away. I love you the best I can. To the heart of a lonely man. To smile and hold my hand. And glistens off your rings. I love you the best that I can. John, where have you gone? With my eyes through a slight shade of melody. And how can I see? But I'd never be the same. It gets into my bones. But that wind keeps whistlin' on.